While the main role of a talent specialist still remains relevant, it's time for TA specialist to step up and deliver even greater value to respective organizations. Traditionally, a Talent Acquisition (TA) specialist’s main job revolves around sourcing and hiring talents. While the main role still remains relevant, it is now an opportune and critical time for you as a TA specialist to step up and deliver even greater value to your respective organizations. You might ask, “Why is that so? How do I go about doing that?” The following are some areas worth your consideration. Increasingly, HR technology is becoming a common sight in the recruitment space. Technology tools ranging from chatbots and resume parsing tools to social referral platforms are slowly gaining popularity. The challenge is that the adoption rate does not seem to be as fast as that of the introduction of such new tools. One key reason could be the familiarity of such tools where there are too many of them and some being too “techy” which results in the TA folks not knowing where to even begin with. Regardless of sentiments, technology is here to stay. More so, it will take up a larger portion of the HR work sooner than later. Instead of waiting for the tools to take over your job, it is imperative for TA specialists to start being comfortable with them and be the ones taking the driver seat instead. When that happens, it actually opens up a whole new realm of possibilities because now, repetitive work can be automated while they can then focus on higher value-added work such as building strong relationships with the candidates, working with line managers to manage their hiring needs more effectively etc. In today’s digital world where social media is a big part of our lives, you either embrace the norm and leverage it or be left behind with the traditional approaches e.g. posting on job boards. In fact, social media is seemingly becoming a mainstream media for many now, in particular the Millennial generation. 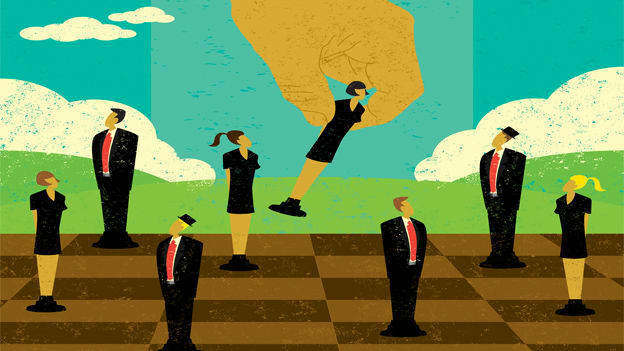 While most might still be comfortable utilizing the traditional methods, which will still work to a certain extent because there are still candidates in that space, it is increasingly losing its charm because the game has shifted from a passive one to one with real-time active engagement in order to excel in today’s highly competitive talent war. Instead of playing a limited game with boundaries clearly set, why not consider expanding your reach by tapping on the social network of your candidates and beyond? This is where the power of social referrals and recruitment comes into play. By incentivizing the influencers and network that you are in touch with, you broaden your reach to a larger pool and in turn, increasing your chance of securing the right talent. That said, it comes with the assumption that you have a strong employer brand and reputation. Failing which, it could actually be a double-edged sword that works against you! According to a report by No Time for Social, 93% of Millennials rely on online reviews and 77% of them trust what they read on such platforms. This is both an opportunity and a huge threat for organizations. On one hand, it means that having a strong online game with good testimonials, regardless if they are credible or not, would essentially put you high on the online search game and enhance your mindshare amongst the candidates. On the flip side, it also means that should there be a poor review, whether it represents the truth or not, will affect the employer brand to a large extent. TA specialists will need to start thinking of how can they become better storytellers to communicate the organization’s stories while working closely with the other HR teams to ensure that the inside is as good as what others hear on the outside. Sounds like a tall order? Not so if you are able to work hand in hand with the rest of the HR team to ensure alignment of mindset and consistency of delivery across the various touchpoints. That is where the true value is and breaking out of the silo is a must to become a true business partner. Are you feeling frustrated with how much workload you are handling but yet the effectiveness of delivery is seemingly limited? Do you complain about the inefficient processes but feel relatively comfortable in your role? Is there some fear of the unknown when you hear the word “technology” or have the slightest insecurity that your job might become obsolete once the technology becomes even more advanced? Well, you are not alone. But what’s more critical is the willingness to break out of the comfort zone, to embrace the challenges as opportunities and experiment with what could potentially work for you and your organization. While the uncharted territory may seem scary, it is only perceived as impossible until someone steps forward. Edric Lin is the Country Director of Wanted.Jobs - a recruiting platform powered by social referrals.